The ever popular AD333 model has been the UK’s No.1 selling two-piece golf ball since 2007 and Srixon’s latest offering, which is the sixth generation of this particular model, is set to extend this position of dominance. Srixon says its new AD333 is a ball that offers incredible feel but has been designed for players who are looking for an all ability ball, offering greater distance and excellent spin on every shot. Now featuring Srixon’s proprietary coating, Spin Skin Technology, as first produced on their premium Z-STAR range, the AD333 offers even greater control and spin on approach shots and a superior soft feel. I love the grip you get on the full-blooded wedge shots from inside of 100 yards, as well as the soft, buttery responsiveness you gain out the greenside traps. By no means as responsive as the Z-Star, certainly when it comes to shots played out the rough, but if you make solid contact with AD333 from the short grass you will be rewarded. I also appreciate how the new Spin Skin coating improves friction between the dimples and club surface for added feel and control from 30 yards in. AD333 is a very soft feeling ball, especially for a 2-piece construction. Sweet connection off the clubface time and time again and it also rolls nicely off the putter blade. Greenside feel is impressive too. And pleasingly, the new AD333 is a little longer than it was before thanks to the improved large Energetic Gradient Growth core, giving the ball a firmer outer layer, which becomes progressively softer towards the centre. I wouldn't say massively longer but you can see the difference certainly. This core structure creates explosive ball speed off the tee with reduced spin for maximum distance. Performance in the wind has also been enhanced by a new speed dimple pattern to promote a penetrating flight, while the AD333’s durability is highly resilient and soft thanks to a RABALON HR+ and PANA-TETRA blended thin outer cover. As with last season’s model, the new AD333 will be available in both Pure White as well as Tour Yellow for improved visibility. 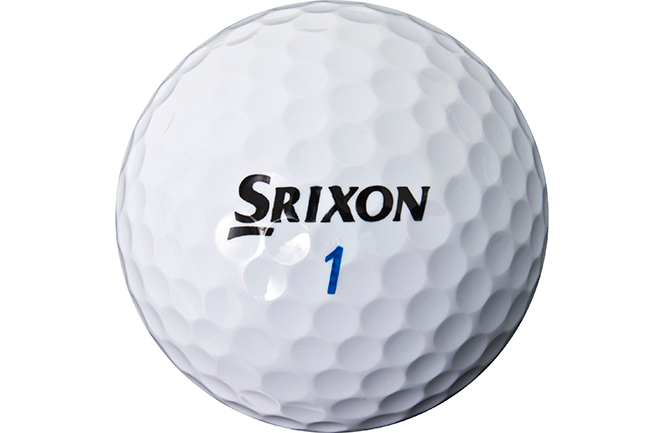 Srixon says this ball is ideal for golfers with a clubhead speed in excess of 80 mph. Neat AD333 alignment aid at the side, too. I know that's something very small to identify but it's something that helps me hole more putts so it's important. It's particularly soft off the putter face, which is ideal. For less than £30, the new AD333 represents a bargain. I'm not sure I'd quite favour it over the new Z-Star and Z-Star XV but I'd definitely recommend this ball for the mid capper looking for a little more fire off the tee and responsiveness around the greens.